SYLVAN LAKE, Alta. 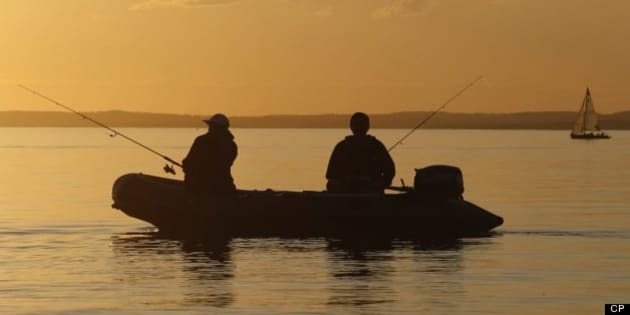 - A day of fun on the water at a central Alberta lake turned to tragedy when a man drowned after he was unable to get back onto an inflatable boat. RCMP say the 26-year-old Calgary resident and his girlfriend were both aboard watercraft that had drifted to the edge of a marked swimming area at Sylvan Lake Provincial Park on Saturday. Witnesses say the victim jumped off his boat to try to push his girlfriend toward shore, but got into trouble when he couldn't get back aboard his inflatable. The friend tried unsuccessfully to rescue him and it was several minutes before searchers located the man on the lake bottom, about four and a half metres down. Rescuers were able to regain his pulse, but he died in the Red Deer hospital Sunday afternoon.